If you have a problem with your coolant temperature, and you realize that the lower radiator hose is cold instead of hot, you could be experiencing problems with the radiator system that needs to get fixed. Your car could be overheating which may cause further problems. 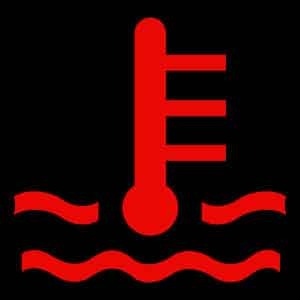 It could be car thermostat that controls how much of coolant is brought into the radiator through the lower radiator hose or water leaks. You will need to look at the various parts that influence the radiator temperature for a proper diagnosis of lower radiator hose cold problem. This is the most common problem when it comes to cold lower coolant hoses. 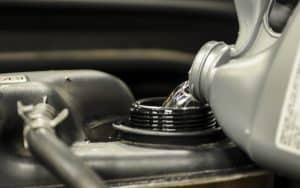 Engines have a valve based thermostat that determines regulates coolant inflow so that the engine operates at an optimal temperature and does not overheat. If your car is overheating, and at the same time won’t heat up the lower coolant hose – You do most likely have a problem with your thermostat which needs to get replaced. The thermostat is closed when the engine is cold and not running. 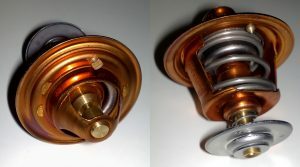 Regulation of water by the thermostat prevents engine hot spots. Once the optimal temperature has been reached the coolant water will be let into the radiator for energy dissipation. If too much of the coolant goes to the radiator the engine is overcooled. This leads to fuel inefficiencies. If the thermostat is not operating well, then the coolant will not be driven to the engine when it exceeds its optimal temperature and is a major cause for lower radiator hose becoming cold. Internal combustion engines produce a lot of heat, which if not handled properly can ruin the engine. The engine coolant is a liquid that is passed through the engine block – where it gets heated – and it loses this heat through the radiator. In areas experiencing cold temperatures, an anti-freeze can be used to prevent the water from solidifying. The upper and lower radiator hoses are used to circulate the coolant to the radiator and the engine. If the lower hose receives low coolant – due to the buildup of radiator sludge – you may experience lower radiator hose cold. Make a close examination of all the hoses – both lower and upper that connect to the radiator for leaks. If there is a leak, you will experience lower radiator hose cold. To locate the leak look at the bottom of the radiator. You should see droplets of water forming whenever you fill the radiator. One leak if not fixed will lead to further leaks and this means you need to fix a leak – irrespective of how small it is – immediately. You can purchase a stop leak product from an auto-shop. The contents are poured into the radiator, and once you run the engine, the stop leak contents seal the leaks. Some of these products are meant for small leaks, and you will need to monitor the car temperature from your dashboard for further leaks. Once your radiator starts leaking expect to lose some of the coolants. High engine temperatures will cause your car to stall and damage the engine. The car dashboard will reveal the engine temperature – which out for a rise in temperature. To identify the source of the problem check under the car hood for droplets of water – green/orange droplets are consistent with coolant leakages while dripped condensation is associated with the car’s air conditioning. After the repair, you have to bleed your coolant system. The coolant reservoir should inform your decision whether you have a radiator leak. The coolant has marks to identify low and high levels. Use a marking pen to indicate the current position. Drive for a few miles and note a new position. If it is has dropped, then you have a radiator leak. If the radiator itself is leaking, you will notice rust discolorations on the vents. Rust forms due to leaks from the radiator. You may need to remove the radiator unit and take it for repairs. If the leaks are minor, you can use coolant leak sealant. Ensure that your engine is turned off before putting the seal leak product. Add some more coolant before you turn on the engine. Let the seal leak liquid to run for 10 to 15 minutes before driving off. Note that this is only a temporary solution and more leaks can be visible in the future. You can use a radiator epoxy to seal any visible cracks. The radiator epoxy will not work effectively if the area you are working on is dirty. The first thing you will need to do is clean the cracked area with a damp cloth. Knead the epoxy and apply on the cracked area until it is about 1/8 inch thick. Allow the epoxy to settle overnight before running the car’s engine. There those who will use temporary measures like pepper or egg yolk to seal radiator leaks. However, this will not contain the seal for long, and you will be forced to find alternative measures. A pressure coolant tester is a device available in most of the auto parts store and is placed in place of the radiator cap. Ensure the engine is cool before installing your tester. Pump around ten pounds of pressure into the cooling system. If you notice that there is a lot of pressure it means you have a leak. When working with the device avoid exceeding 15 pounds of pressure as this will cause further damage to existing leaks. The coolant pressure tester will help you identify leaks, and you can use any of the methods mentioned above to seal off the leaks. All of the above repair methods need to be constantly monitored. If the engine temperatures continue to rise even after making the first seal, it could mean pressure is being applied to another area. You may finally be forced to purchase a new radiator after performing this leaks repairs. A lower radiator hose cold will cause an overheating problem. The cause of this varies with the main culprits being a leaked hose radiator pipe, a faulty thermostat or hindered coolant circulation. If you experience this, you should turn off the car’s engine immediately and identify the cause of the leaks. Leak sealants can be added to the coolant for small leaks, but if the problem persists, you will be required to overhaul the entire radiator system.